Chickasha Municipal Airport welcomed pilots from across the region along with area residents to a Fly-In Saturday afternoon. Along with raffles for prizes and helicopter rides, dozens of kids got the chance to take flight in one of the many airplanes parked for the public to see. 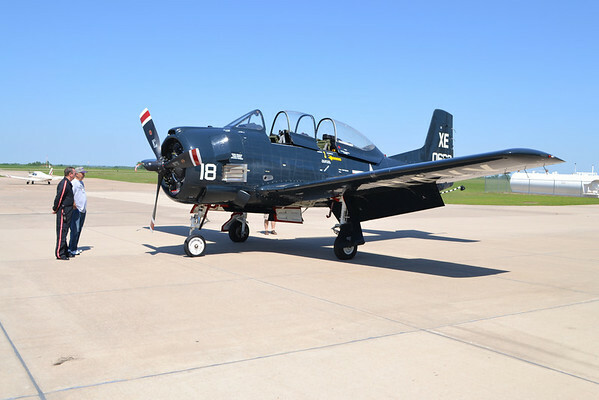 This T-28C model plane, used during the 1950s as mostly a military training craft and spotter plane, was flown in from Oklahoma City by pilots Jerry Fletcher and John Girtner.